This is it! What you’ve been waiting for! The Hoboken Library’s 50th post to the Staff Picks Blog. You may wonder how I earned the great honor of writing this post. It was competitive, you know. Ultimately, however, I was the only one who had time, this week, to come up with an entry. 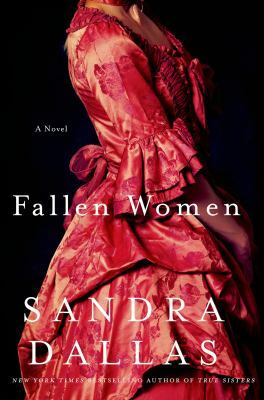 Fallen Women, by Sandra Dallas. Having lived in Denver for thirty years, I have a particular love for Sandra Dallas’ books that recall the city’s somewhat wild and wooly past. And wild it was as the nouveau riche try to hide their sometimes less than sterling pasts with new money made in the mines. In 1885, Beret Osmundsen, a New York social worker, comes to Denver to claim the body of her younger sister, Lillie, who has been murdered while working as a “soiled dove” on Denver’s infamous Halliday Street. Beret and Lillie were estranged because Lillie seduced Beret’s easily seducible husband. While staying with her aspirational aunt and uncle, Beret seeks out a detective, Mick McCauley, to help her investigate Lillie’s death and finds that Lillie’s downfall lies dangerously close to home. Most of Dallas’ books are strictly historical novels, but this one adds an element of suspense that makes the history lesson go down easily. Read this book if you are a fan of Alice Hoffman or Diana Mott Davidson. 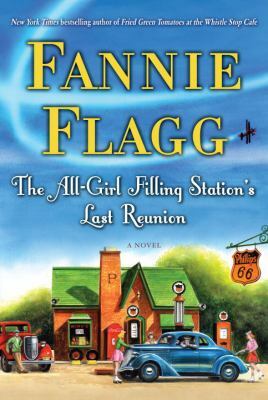 The All-Girl Filling Station’s Last Reunion, by Fannie Flagg. Most people associate this author with the book, Fried Green Tomatoes at the Whistle Stop Café. However, Fannie Flagg has had a memorable career both as a writer and as a performer, having come to New York, originally, as the winner of a Celeste Holm look-alike contest. (I’m sorry. If you don’t know the name Celeste Holm, search IMDB and then immediately find the film Gentleman’s Agreement to see what a Best Supporting Actress really looks like). In this book, Ms. Flagg again refers to her native Alabama where we meet Mrs. Sookie Poole who is having a partial nervous breakdown from marrying off the last of her three daughters and dealing with her contentious and more than a bit eccentric mother, Lenore Simmons Krackenberry. While researching family history, Sookie discovers that her mother does not come from the rich Southern background she has represented, but descends from a mid-western Polish family with a gaggle of beautiful daughters who ran a women’s filling station during World War II, and also served the country as women pilots. Sookie finds an unexpected connection to Fritzi Jurdabralinski, a feisty aviatrix with a fascinating family story to tell. Read if you liked The Help or Where the Heart Is. Coralie Sardie lives and works in a Coney Island freak show. Born with Syndactyly, a condition that causes her to have webbing between her fingers, her father, a sinister figure, keeps her a virtual prisoner as he displays her as The Mermaid Girl is a giant fish tank in his boardwalk show. Coralie bonds with other performers in the show and they become a pseudo family, supporting each other in the face of her father’s cruelty. Then, one night while swimming in the Hudson, Coralie chances on Eddie Cohen, a photographer seeking a new life away from his Orthodox Jewish roots on the Lower East Side. More than just a photographer, Eddie is a sort of “seeker of lost persons,” and becomes embroiled in a search for a missing woman after the horrific Triangle Shirtwaist fire. With Coralie’s help, Eddie solves the mystery of Hannah, the shirtwaist girl, and also reveals his relationship to the Triangle Fire and the family who owned the factory. As with all of Alice Hoffman’s books, there is a darkness to this story but also incredible detail and authenticity in the descriptions of early 20th century New York. The tragedy of the lives of people who can earn a living only by being “freaks” is extremely sad but also inspiring in the way that they support and love one another. 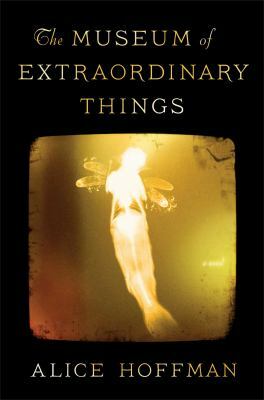 Read if you like Neil Gaiman or Isabel Allende. 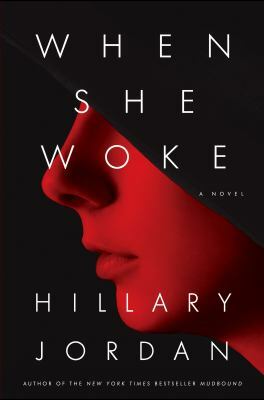 When She Woke, by Hillary Jordan. To me, this is the most thought-provoking book of the last five years. In a re-imagination of The Scarlet Letter, Jordan tells the story of Hannah Payne, a religiously raised teenager who finds herself pregnant by the powerful head of her fundamentalist church. In this dystopian world, much of the population has been wiped out by plague, and many more of the females have been rendered sterile. Abortion is illegal and considered murder so, when Hannah has an abortion and is caught, she is branded a criminal and her skin is genetically altered red so that her crime is obvious to everyone. Sent to a halfway house for fallen girls, Hannah is abused by her caretakers and leaves with the goal of hooking up with an underground network dedicated to getting “chromes” into Canada. Along the way, Hannah reunites with her lover and finds that he has feet of clay. Obviously, the center of this tale is political and feminist and will engender strong feelings on both sides of the issue. The book also addresses LGBT rights and many other provocative issues that are present in every day’s headlines. Prepare yourself for a heated discussion, but one of the most engrossing stories, if you choose this book. Read if you liked The Hunger Games or The Handmaid’s Tale. The Storied Life of A.J. 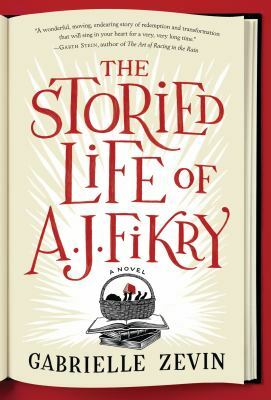 Fikry, by Gabrielle Zevin. This is a Valentine of a book. A.J. Fikry is the most unexpected of romantic heroes. He is a curmudgeonly widower living on an isolated New England island and running a bookstore that no one patronizes. His late wife was the magnet that drew people into the store. A.J. was merely the man in the back room. However, her death causes him to assume a more active role in the operation of the store and it’s not going well. Then, one day, a customer leaves A.J. a “package,” a small, bi-racial child who, the mother says, should be raised in a bookstore. At first, A.J. does everything he can to divest himself of Maya. However, slowly he is drawn into fatherhood and, by association, into the life of the island town. He also has an encounter with a sales rep, Amelia, who comes to the island only once a year, but finds herself falling in love with the older, evolving owner of the remote bookstore. This book will leave you with a warm and mellow feeling about the transformative power of love, family, and community. Read this book if you like the novels of Elizabeth Berg or enjoyed The Guernsey Literary and Potato Peel Pie Society. Some of these titles may provoke your reading group to have heated discussions, while others may cause more heart-felt consensus about characters, themes, plots, historical accuracy and current events. Whichever books you choose, I hope you’ll visit the library and ask our staff for further recommendations to expand your reading horizons. Also, don’t forget that we now have an adult Summer Reading Program, as well as programs to encourage children and young adults to stay in touch with books when school is on recess. The Hoboken Library is a reading oasis for all of our valued patrons.